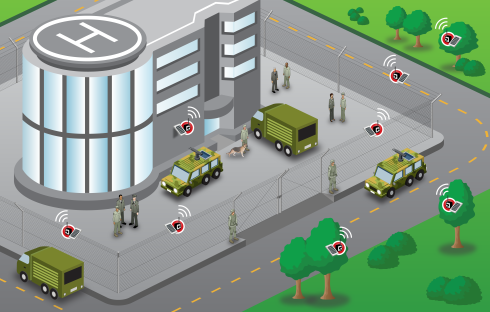 Libelium today released a new generation of autonomous 3G sensors equipped with video cameras that enable the development of new security, surveillance and military applications on Waspmote, the wireless sensor network platform for the Internet of Things. These new video camera sensors, in conjunction with the 3G communication module, allow the creation of sensor nodes that transmit both discrete data gathered by analog and digital sensors and complex streams of real time information, such as photos and video, to servers in the Cloud. 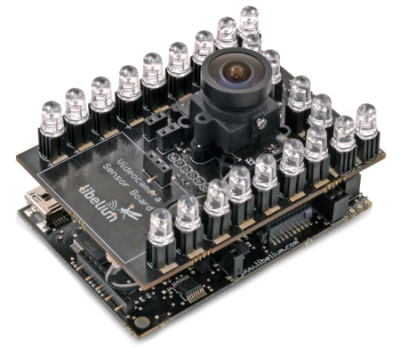 For security applications that require night vision mode, the new video camera sensor nodes include dozens of high-power infrared (IR) LEDs, allowing Waspmote to take pictures in total darkness. The 3G module is equipped with an internal GPS that adds geolocation meta information to all multimedia files. New 3G-communication module uses high-speed W-CDMA and HSPA mobile networks, with a speed rate of 5.5Mbps when uploading photos/videos to the Cloud. This allows to create distributed photo/video network for security and surveillance IoT applications where hundreds of small footprint sensor nodes send information simultaneously. 22 high-power infrared LEDs allow night vision mode which is triggered automatically: Waspmote can take photos/videos in total darkness. The 3G module is equipped with internal GPS combining standard NMEA frames with mobile cell ID triangulation; using both assisted-mobile (A-GPS) and mobile-based (S-GPS) modes. Now Waspmote Sensor nodes can transmit whether they are located indoors or outdoors; GPS can automatically associate geolocation information with photos and videos to show when and where they were taken. The Waspmote node uses HTTPS and FTPS (secure mode) Web server transmission to ensure maximum privacy in information transmission. This is specifically designed to work with Internet servers with a high degree of security, also with secure file servers. 3G module includes an internal SD card holder (extensible to 32 GB) to store thousands of photos and videos when connection is not available. This way information is never lost as it is stored independently of the state of the network. Further uses of Libelium’s video camera sensors and 3G module for Waspmote include the implementation of security applications for use in asset management, road surveillance, vehicle and personnel monitoring, and in military and defense use.